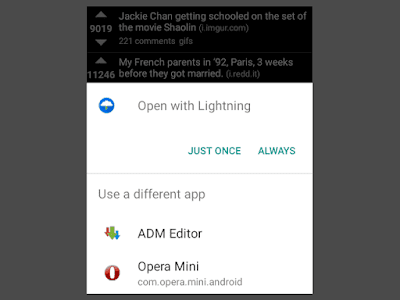 Typically if a default browser has not been set, Android prompts you to select one on the Open With pop up window every time you open a link. Reverting back to get the Open with pop up however is not as straightforward as I've come to notice on my device running stock Android 6.0. One gets the option to only change the default Browser app but not to reset it back to No Default Browser (which is what's responsible for the Open with prompt). 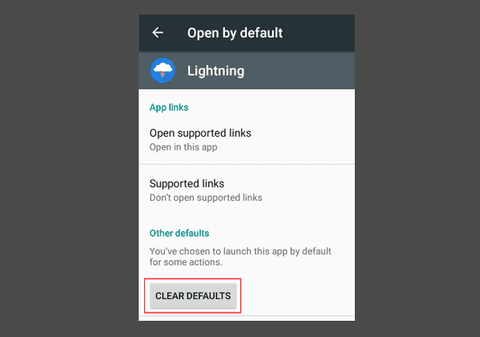 Clearing the defaults for the current default browser likewise does not fully restore the Open with dialog. Fully as I noticed in my case that normal browser links were still opening with it the exception being links associated with given apps such as YouTube for youtube links, Quora for quora links etc. In those scenarios it showed the prompt, but didn't include any other browsers in the choices. A quick solution would be to reset app preferences for all the apps. 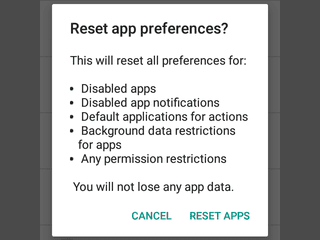 This is guaranteed to work however at the cost of resetting the app preferences of all the other installed apps. 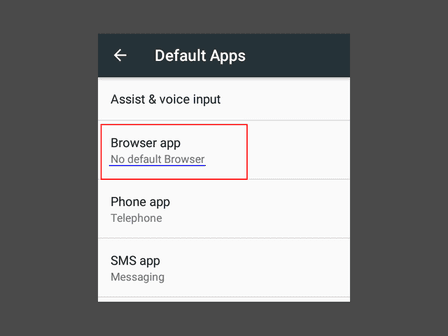 Turns out if you install a new browser, the Android system is triggered into clearing the default browser on its own. It does this as it's likely that one may want to set the new browser as the default one. To confirm this, the No Default Browser is restored after installing a new browser. Likewise, uninstalling the browser with the current default should bring up the prompt up again. One can thereafter reinstall the app. However that could mean losing any valuable data (bookmarks, add-ons etc.) that one had on that app (not unless you had backed up its data and can restore it). Alternatively, one can just change the default browser to a browser that is already installed, uninstall it and that should get the Open with prompt again. I suppose this works in the same manner for other versions of Android but I can't guarantee it. Similarly, this should work with other default app settings, not just browsers.